Which is why we have whole battery of assessment techniques and treatment solutions to draw on in order to restore you to optimum fitness. We don’t like machines too much here – in fact there is little evidence to support their use. Our hands are way better, considering they are covered in millions of nerve endings enabling us to assess and treat your problem. Manual therapy may involve a number of techniques from gentle repetitive mobilisations to high velocity manipulation. These techniques are often used to stretch joints, slide nerves and bow tendon tissue to get them moving. Stiff joints are often sore and to the contrary the human body, like machines, functions better when regularly moved in the correct way. check them and progress them when you return for follow up! Probably the wrong term as most muscles are never truly stretched but lengthened. We can use a number of clever methods to allow a muscle to let go and change its ‘resting length’. Short muscles can also cause pain and can put pressure on other tissues such as nerve roots. Likewise, nerves can become ‘sticky’, especially following a period of inflammation so we can apply techniques to offload them e.g. taping or advising on sleep, rest and working positions. There has been a recent plethora of evidence to support the use of acupuncture for pain relief. This is upheld by the recent publication by NICE for the management of simple low back pain. CG88QuickRefGuide.pdf This advocates that in some cases acupuncture may be beneficial. Have you ever wondered what is happening when someone asks you to ‘switch on your core’ ? There may be times if you wonder if you actually have one. Everyone has one but turning it on correctly is quite an art. Ultrasound imaging can help provide the biofeedback needed. It shows you a 2D image of the selected muscle group, can measure its size and train you to switch it on to the required amount. another form of feedback offered is video motion analysis, whether it be of abnormal shoulder movement or altered gait patterns. Seeing is understanding and this allows the brain to learn how to undo altered patterns. Where relevant we will aim to analyse your gait pattern by filming you walk and possibly run on the treadmill. This can be fedback to you in slow motion to use vital information to interpret your symptoms and find solutions to change the forces transmitted through your musculoskeletal system. 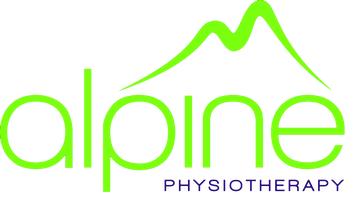 Once a month we hold running clinics with one hour Alpine runcheck MOT. This provides a screening system to detect any structural or motion control anomalies and offers the chance to discuss training techniques and footwear. This will be provided either by one of our physiotherapists or our consulting podiatrist.